It was hot. The air above wore a fur-lined hunter’s cap, earflaps down, trapping the heat instead of allowing it to rise and escape. were as brown and crackly as these in today's September heat. It was dry. The cracks in in the hardened soil were over two inches deep. There were strict restrictions on watering. That summer more than 95 percent of Illinois experienced severe drought. Where we lived the drought was “only” moderate. I couldn’t keep my ferns alive. But I could write music. There was no joy in gardening. Would there be joy in composing? I started writing a song about ferns dying in the heat. But then the third verse morphed into something else, something more personal. 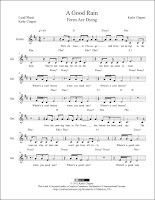 Perhaps that’s why I never arranged the song, but left it as a lead sheet – melody, guitar chords, and simple drum beat. From the album “Paper Book Colors - Songs from Nature” this video is scrolling playback of the song. 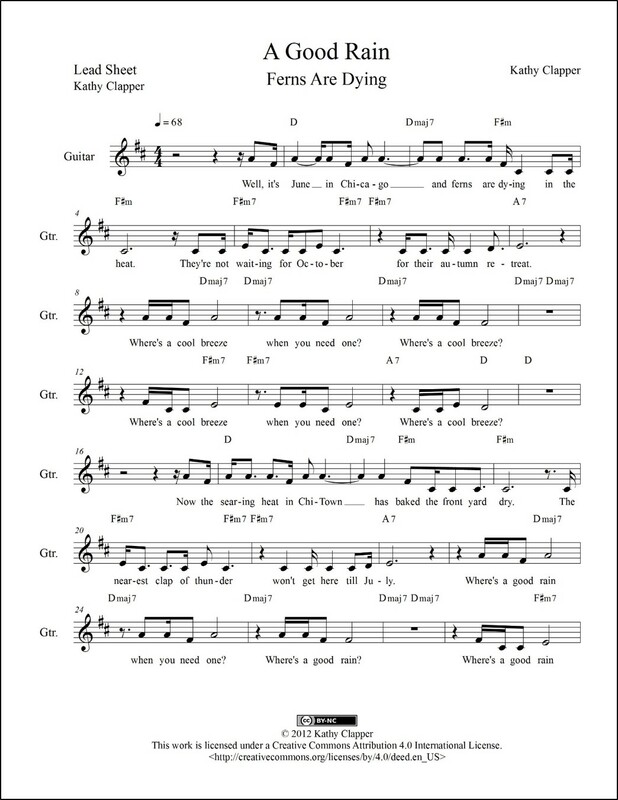 You can get print (PDF) and/or digital (MusicXML™) sheet music for A Good Rain.